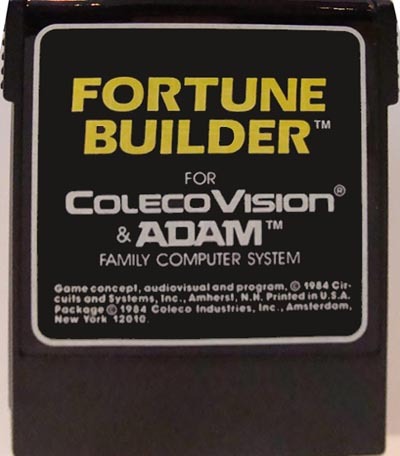 Fortune Builder™ is a trademark of Circuits and Systems, Inc.
Game Concept, Audiovisual and Program ©1984 Circuits and Systems, Inc. Amherst, N.H.
Package ©1984 by Coleco Industries, Inc., Amsterdam, New York 12010. Printed in U.S.A.
FORTUNE BUILDER has it all! Educational and fun, FORTUNE BUILDER lets you plan, build and run your own community. 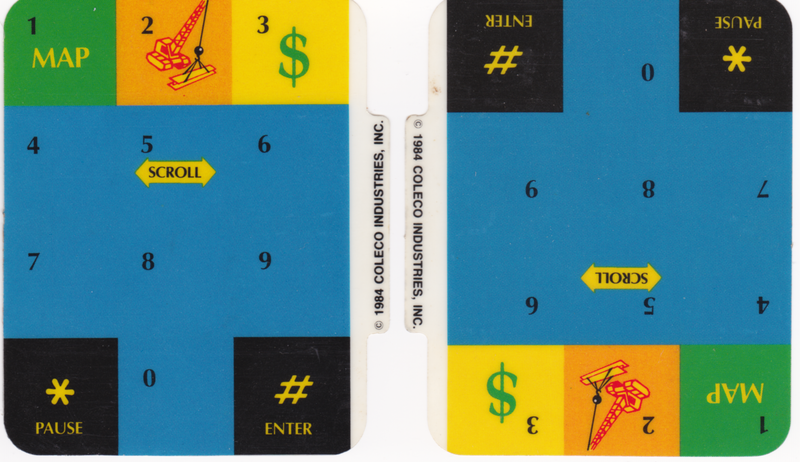 Race against time to achieve your financial goal in a One-Player Game or compete with another tycoon in a Two-Player Game. Either way, FORTUNE BUILDER is a challenge. hotels, condos, marinas, factories, malls, gas stations and numerous other facilities. The challenge is to build them where they will draw the most traffic, thereby increasing profits. And all the while, you must keep an eye on bulletins that may affect your efforts, watching for changes in everything from consumer trends to the weather. 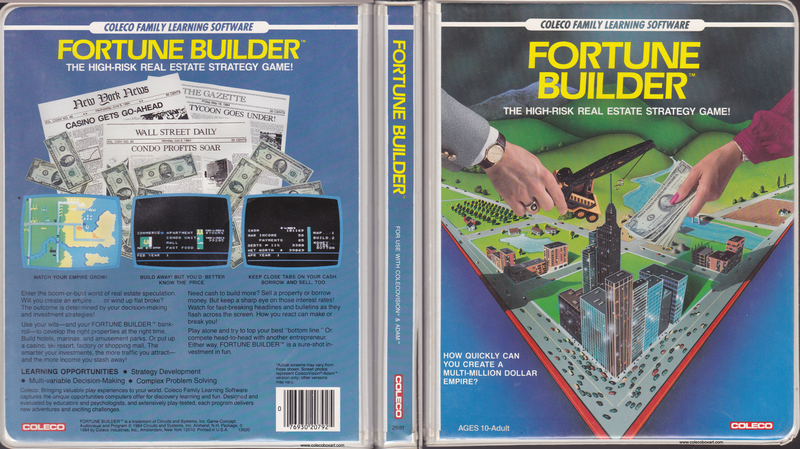 FORTUNE BUILDER teaches problem solving and helps you learn, in a way both fun and realistic, about economics, geography, sociology, investments and the effects of the environment and current events on industry and the marketplace.